DEDAWOOD, SD TOUR DATE ADDED! SOUTH DAKOTA! 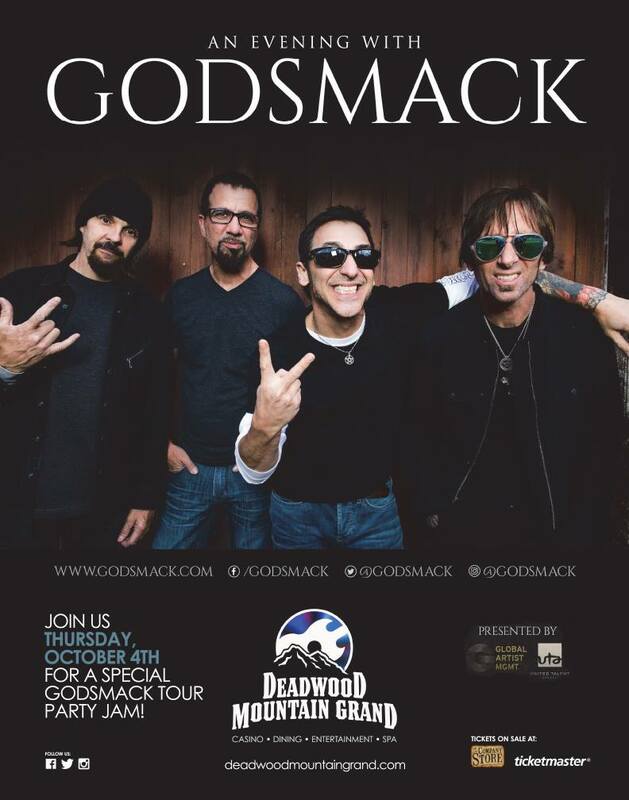 Join us for An Evening with Godsmack on Thurs OCT 4 at the Deadwood Mountain Grand !! Tickets go ON SALE on FRI AUG 3 at 10AM MDT HERE ... Hope to see you for this special tour party jam!